This is the last of three short pieces that originally appeared in 'Table Talk'. The term ‘Calvinism’ was first used by Lutheran theologians to refer to what they regarded as the peculiar views of the Christ’s real presence at the Lord’s Supper held by John Calvin and his followers. It is not used in this way nowadays. What does it refer to now? In some cases, to denote the entire theological system of Calvin himself as we find it in the four Books of hisInstitutes. In other cases, and more usually, to refer to the understanding of the doctrine of salvation as we find it in the first three books. What’s the difference? Well, the fourth book of the Institutes contains what Calvin may have thought to be the climax of his system, his doctrine of the church (and sacraments) and its relation to the state. Briefly, he sets forth a presbyterian system of church governance, and a close connection between church and state, one in which the magistrate is regarded as the minister of God, whose duty it is to uphold the true worship of God, worship according to the principles of the Reformed faith, and no other. ‘Calvinism’ used in this sense has undergone two seismic changes since the final edition of theInstitutes saw the light of day in 1559. During the last part of Calvin’s life and afterwards Calvin’s teaching regarding the way of salvation through Christ was exported, it became international. This was due to the wide circulation of Calvin’s books, to his influential correspondence, and to the presence in Geneva of congregations of refugees from persecution; not only from France, but from Italy, Great Britain, and so on. As the refugees returned to their homelands, as Calvin’s Institutes and his commentaries and other works were translated into English and Dutch and other languages, so ‘Calvinism’ radiated across Europe. But the circumstances of the receiving countries were often very different from Geneva, and as time went on, they became even more different. Perhaps Calvins overall teaching was received in its fullest form in Scotland, due to the power and courage of John Knox and others. But elsewhere Calvin’s understanding of the way of salvation through Jesus Christ, was accepted by people who were Episcopalians, like many of the Puritan party in the Church of England, including Bishops such as George Abbot, Edwin Sandys and James Davenant, and later by Independents (or congregationalists) such as the Puritan John Owen, and by Baptists such as John Bunyan. They willingly accepted Calvin’s teaching on the way of salvation, but declined his views on church government and on church and state. (According to Robert Letham, a Greek Orthodox theologian, Cyril Lucaris, Patriarch of Constantinople, wrote his own Calvinist Confession in 1629, (Through Western Eyes, 264)). That was the first seismic change. The second was the effect on Calvinists of the first tentative and hard -fought-for expressions of religious toleration that arose during the seventeenth century, particularly in Holland, in England and in the American colonies. This meant, in effect, a weakening of the church-state alliance which Calvin (along with the other magisterial Reformers) regarded as so vital. In England, for example, various Protestant groups arose, Baptist and Independent, loyal to the state, and tolerated by it alongside the Church of England which was ‘by law established’. And after a period of severe decline following the restoration of the monarchy in 1660, Calvinism was renewed in the Church of England, and in Dissent, through the evangelical revivals in England and Wales. So (for example) George Whitefield and Augustus Toplady and John Newton in the Church of England, and John Gill and John Fawcett (for example) among the Baptists, could all be said to be ‘doctrinal Calvinists’, though differing as a matter of principle over church government, and over baptism in the case of the Baptists, differences that in some cases proved personally costly. In America the matter of toleration became more clear-cut following the passing of the Constitution and the principled separation of church and state. What is the ‘Calvinism’ that all the ‘doctrinal Calvinists’ have in common? 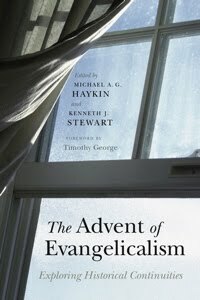 As we’ve seen, it is (in essence) Calvin’s doctrinal expression of the way of salvation through Jesus Christ refined through the controversies in the Reformed community that occurred after his death. And what is that? It is an expansion of the phrase ’salvation by grace only, through faith only’. Calvin followed Augustine (and of course both followed Paul) in emphasising that our salvation is through the grace of God only. That is, it is not on the basis of anything that God sees in us or that we do. We are spiritually dead, if not spiritually buried, and we need God’s grace to give us life, reconciliation with God through the work of Christ in its widest and deepest sense. But neither does our reception of God’s grace depend upon our own capacity to want it or to like it. We do not meet God half way, nor do we come to Christ for the reconciliation which he alone can give by a free decision of our wills (perhaps with some divine encouragement). We need the life-giving energy and enlightenment of Christ’s Spirit. Rather the grace in question is powerful. Not only powerful to take us to glory. But also before that , powerful to renew our minds and especially our wills, bringing us to conviction of sin, to penitence, to exercise faith in Christ only, and so bringing about the renewing of our character which follows our justification by faith. Such powerful grace came to be referred to ‘effectual grace’, though this was a phrase (I believe) first coined by Augustine in his letter to Simplicianus in AD 396. Effectual grace is grace sufficiently powerful to bring us, kicking and screaming and struggling often enough, to God himself, and to keep us there. Grace here, and glory hereafter, as the Puritans used to say. Earlier on we noted how the world of Calvin’s Geneva transmuted into that of the seventeenth century as Calvinist churches were formed in ways that had not been anticipated. A similar thing happened in the evangelical revivals of the eighteenth century. But compared with both these eras the Christian world of today is many times more complex. Different cultural forces, people with different backgrounds – pluralism par excellence, a nightmare for the tidy-minded and lovers of order, like Calvin himself seems to have been. In his sovereign pleasure God may instil his grace into people we might not have anticipated, and in circumstances that we could not have imagined. Calvinists can hardly deny such a right to the sovereign God. 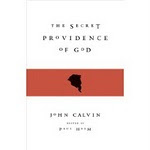 John Calvin bequeathed to the church an understanding of God’s grace that is more adaptable and flexible to new circumstances than perhaps he ever imagined! We might ask, can such people and such churches, bearing the marks of these circumstances, be genuinely Calvinist, orthodox, Reformed? Perhaps they are the latest wave of ‘doctrinal Calvinism’, like the Baptists and Independents of the seventeenth century and the Calvinistic Methodists of the eighteenth? How can we tell? Is there a test for whether someone understands and accepts the gospel of the grace of God understood in this Pauline, Augustinian and Calvinist sense? Well, we must be careful of tests; we are all fallible, and besides that, tests can often come to be operated legalistically, erected as hoops for a person to jump over. A bad idea. Nevertheless, bearing in mind these qualifications, maybe we can think of what follows not as an infallible test, but as a reliable guide. In his wonderfule letter to the Romans Paul reaches the peak of his exposition of God’s grace in Jesus Christ in Romans 8 Before that (in, roughly, Chapters 3-5) he expounded our salvation as founded on God’s justification of the ungodly. (Rom. 4.5) This is inseparably connected with our sanctification, a new life of union with Christ as we are buried with him in his baptism and raised with him in newness of life, (Ch.6). It is characterised by a never-ending struggle between the old sinful nature (the ‘flesh’ as Paul puts it) and the ‘new man’ (the spirit) (Ch.7). he also predestined to be conformed to the image of his Son. (His actual destining of his chosen ones to be conformed to the image of his Son Jesus Christ). and those whom he justified those he also glorified…..
From first (foreknowing) to last (glorifying) Paul says that the work is God’s work, and the chain from the first to the last is unbreakable, (note the ‘also’s’), holding the people of God steady and secure in God’s grace from first to last. 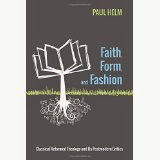 Is there a test of being ‘Reformed’ of being ‘Calvinistic’ in the muddled and confusing Christian world of 2010? I say that if we feel the need of one, there is. It’s the unqualified recognition of Paul’s golden chain of Romans 8.